The Vacation Rentals listed below are represented by Professional Property Management Companies who know the California Central Valley area and have access to several properties. Our April 2019 property listings offer a selection of 11 vacation rentals near California Central Valley. Find a unique house rental for you to enjoy a memorable stay with your family and friends. The best places to stay near California Central Valley for a holiday or a weekend are on Find Rentals. Where are the best places to stay in California Central Valley? For nearby neighborhoods, please use our search to access the selection of vacation rentals available in and around California Central Valley. What are some fun things to do in California Central Valley? There are many other points of interest around California Central Valley listed on Find Rentals where you can find a great place to stay. Try out the search to find a large selection of vacation rentals available near the city or region you're traveling to. 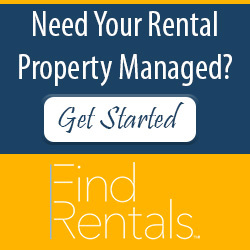 Which vacation rental managers have properties for rent in California Central Valley? Can I rent condos in California Central Valley? Yes. Find Rentals has 1 condos available for rent in California Central Valley. Can I rent fishing rentals in California Central Valley? How can I find a vacation rental manager in California Central Valley?